Left to Right, is Clois Cox Dwight Cox and Monica Johnson. Clois along with his brother Dwight “Bubba” started the group in October of 1972. Singing the gospel for 44 years, he is truly dedicated to Gods service. He has an anointing from God to minister in music and sing the good news of our savior, the Lord Jesus Christ. With a testimony of Gods power and deliverance that has touched many of our countries Veterans. Clois is an active member in the music dept. at his home church. His family consists of wife Connie and one child Canessa and her husband Bryan and grandson Landon. 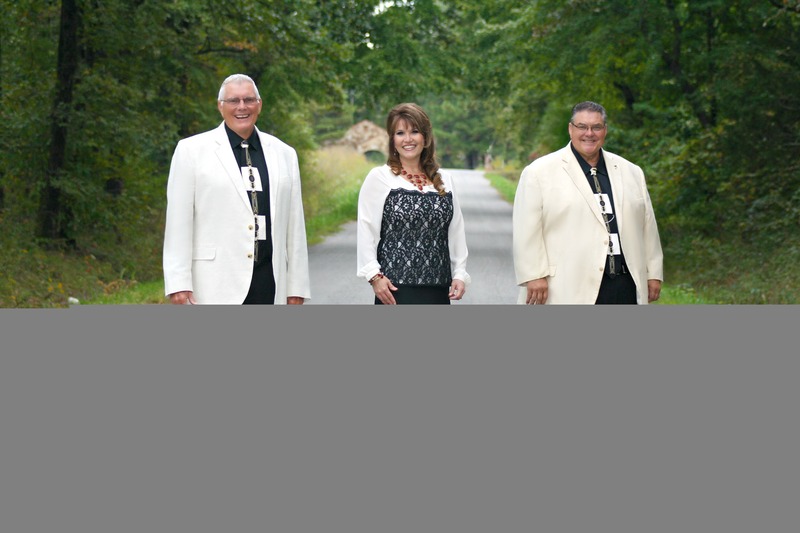 Living in a rural area, the community of Velvet Ridge Arkansas, Clois loves to share the joy of the Lord with everyone he comes in contact with and tell about Gods saving Grace. Seeing many born into the Kingdom of God has made our travels worth all the sacrifice we’ve made over the years worth it all. When Clois gets on the van, sits, then turns around and with a smile and says, “Kids, we get to go sing a song for Jesus.” You know he loves what he’s doing for the Lord!!! His prayer along with the rest of the group is that many souls will be encouraged, lifted up and born again through the ministry of Velvet Ridge. Dwight "Bubba" has a heart for God and ministering to all those he comes in contact with. For the past 44 years of his life, he expresses his appreciation to God for where he has placed him in ministry. Dwight and his wife Sharon resides in Velvet Ridge Arkansas. He is the last of nine siblings and shares a great love for those of his family. He has truly been anointed by God with the ability to have written and still writing some of Gospel Music's finest songs. The compassion and commitment of his heart is to the winning of souls for the Kingdom of God, and it is shown in the words of each song he has penned. If you give him the chance he will ask "Now! Don'tcha just love Jesus?" Dwight says it's a joy to make a return visit to some of the places where Velvet Ridge has ministered in the past to find those still serving the Lord, that had received Jesus into their hearts through the ministry of Velvet Ridge. God's anointing on his life has just increased his love for the ministry. Monica, the newest member of Velvet Ridge. Monica and her husband Ricky, reside in Velvet Ridge. And attend the same church as Clois and Bubba. She also has two daughters, Whitney Swindle-Husband Chris, and Macey Gilmore- Husband TJ, They have given Her six Beautiful Grand Children whose names are Garrett, Sophie, Landon, Jacob, Tara, and Tyler. Monica has always had a beautiful voice and has been a soloist in the local church for several years. She is praising God for her placement with Velvet Ridge but at the same time saddened along with all of VR that her best Friend "Belinda" went home to be with the Lord. After much prayer along with her husband, Monica approached Bubba and Clois and said she would love to go and minister with VR. She won the hearts of Clois and Bubba when she said she wanted to minister with them and not just to sing. Now as the anointing takes residence in her song for Jesus, VR can once againg Rejoice in the harmony and blend of Vocals and also in the Spirit of God. Her love for God and the song she sings will win the hearts of everyone that sit's under the sound of her voice. Monica has been singing with Velvet Ridge for almost 3 years now and we are all enjoying and God is blessing everytime we go out.